Many eBay-first or eBay-only sellers use inkFrog as a way to create, manage, and streamline the operation of their eBay stores—but if Shopify is your first or major sales channel, you'll use inkFrog in a slightly different way. Use inkFrog as a painless way to get your Shopify products up for sale on eBay. Products that you publish in Shopify can be imported into inkFrog, which will use them to generate eBay listings. Sales that you make on Shopify are able to update your eBay inventory levels and vice-versa. Orders from both can be processed and shipped from within Shopify. In short, inkFrog connects an eBay seller account to your Shopify store in a way that makes eBay sales activity nearly transparent. As you sell, you'll continue to work primarily in Shopify, since inkFrog does not create or publish product listings on Shopify. Instead, inkFrog creates eBay listings from your Shopify inventory, then keeps listings and orders on both platforms in sync according to your preferences. In inkFrog, select "Store Connector" → your-store.myshopify.com. Opt to import new products from your Shopify store. Revise them as necessary to optimize them for eBay sales, then have inkFrog list them to eBay for you. Remember as you do this to ensure that your synchronization settings enable differences to exist in the parts of your listings that you plan to customize. Publish new products to Shopify first. Then, use inkFrog to manage them on eBay. 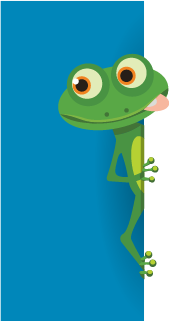 Once inkFrog creates eBay listings for you, your eBay listings and the Shopify products that you used to create them are connected inside inkFrog. Listing details, prices, inventory levels, and/or orders are automatically shared, if each of these kinds of synchronization is enabled, between your Shopify and eBay stores. Note that if you're already selling on both eBay and Shopify, you can use inkFrog's import process instead to "map" existing eBay listings to your Shopify listings for the same products, so that this synchronization can begin. Before doing this, be sure to double-check your synchronization settings, to ensure that listings on one platform don't overwrite listings on the other unexpectedly. Configure inkFrog to synchronize inventory levels and prices between the two platforms. Configure inkFrog to synchronize any orders placed on eBay back to your Shopify account. Then, process all orders, respond to all messages, and manage your day-to-day business operations for both platforms from within Shopify. Sync inventory levels and orders back to Shopify, to manage your sales in one place. The wealth of options enables a nearly "set it and forget it" eBay selling experience. Using the general workflow outlined above, you can add eBay as a new sales channel to your Shopify business quickly. Continue to think of Shopify as the center of your business, and continue to publish new products and fulfill orders from within Shopify, using inkFrog to create and manage your eBay listings for you. Listing data, inventory levels, and prices stay synchronized according to your preferences, and with eBay orders and messages accessible from within Shopify thanks to inkFrog, your existing fulfillment workflows don't have to change. Are you a Shopify seller who's ready to start selling on eBay, too? Try inkFrog today!